The Killers return to Liverpool tomorrow and Getintothis has teamed up with Brandon Flowers and co to offer readers tickets to their Echo Arena gig. The Killers have been on a roll in 2017. New album Wonderful Wonderful, released in June, was followed up by a riotous ‘secret’ set at Glastonbury which saw Brandon Flowers‘ band thrust back into the media spotlight. Summer saw them play a sell out show at the British Summer Time gigs in Hyde Park quickly followed by a selection of European festivals. On its release, Wonderful Wonderful leapt straight to number one in the UK albums chart, meaning that The Killers have achieved the remarkable feat of having every album they have made go to the top of the UK charts. What’s more, it also gave the band their first US number one, making The Killers undeniably one of the world’s biggest bands. 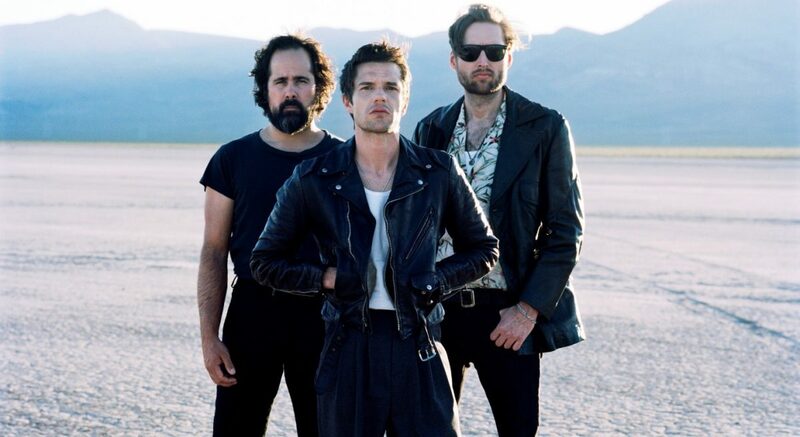 In support of their new album, The Killers are currently in the middle of a 15 date tour of the UK and Ireland – and land in Liverpool (their first since 2013), at Liverpool Echo Arena on November 9. And we’re offering one reader a pair of tickets to see the show. Here’s how – get involved. To win a pair of tickets to the Liverpool gig all you have to do is like the Getintothis Facebook page, share the post below and tag in two of your friends. #COMPETITION// ? Want to #win tickets to @thekillers at @EchoArena Thurs Nov 9?